Always beautiful: water lily. And this one is in my favorite color: pink, so I like this photo very much! The lily standing up in the water makes this a neat shot...seems to be reaching for the sky. 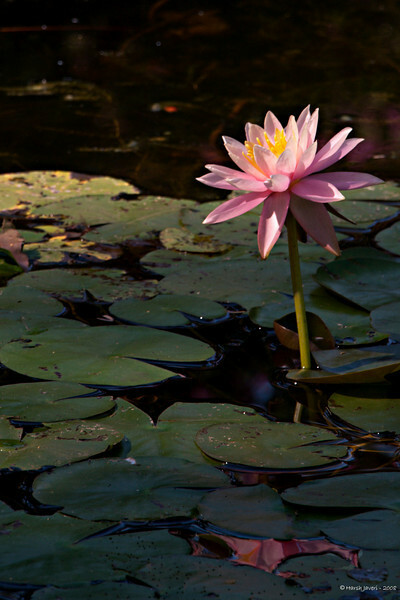 Love the way the light is exactly falling over the water lily. Nice shot. This is lovely! Beautiful comp and light -- simply wonderful!